Economic forces drive many businesses to find new ways to cut costs. Through the implementation of lockbox payments, businesses can reduce bank fees, manage expenses and reduce paper work while expediting cash flow with faster check payment processing. In addition, lockbox payments increase confidence in accepting checks from unfamiliar sources. Paying for goods and services takes on many forms, depending on types of customer and payment options available, such as checks, credit cards, cash, in person and online. Electronic transfers and lockbox systems are becoming the top choices for payment, since each provides convenience and faster access to cash. Some businesses with several locations throughout the country use a lockbox system to expedite collection and check-clearing processes, hence the term lockbox payment. Lockbox systems enable an organization to cut costs based on faster payment processing. 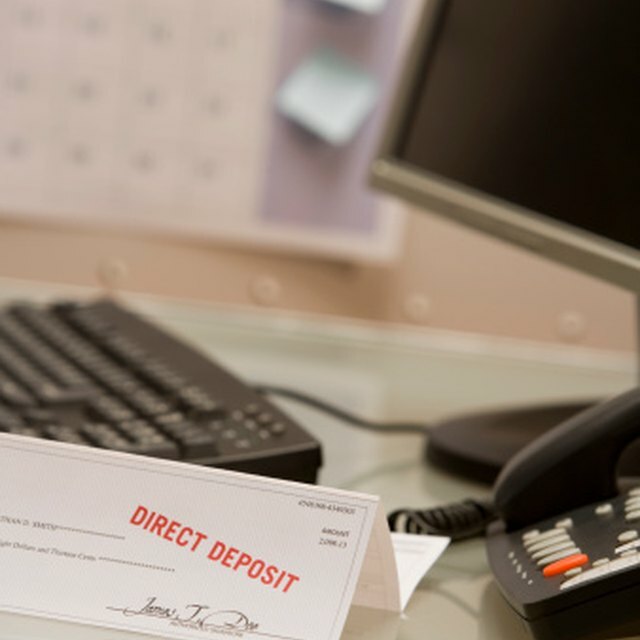 An organization with several United States locations can have customers mail payments to a post office box in the customer's geographic region, where a local bank is responsible for collecting and processing the lockbox payments. Lockbox payments provide faster check clearing, since a local bank with local customers collects the checks. The bank responsible for collecting the checks from the local post office box processes the lockbox payments and wire-transfer the funds to the corporate bank headquarters on a daily basis. Lockbox payments ensure funds are available to clients within 24 hours or less. Lockbox payments provide faster access to funds while offering a convenient and flexible way for customers to submit payments. Many individuals are still hesitant to take advantage of online bill payment and prefer mailing checks for services and products rendered. Banks offer a variety of lockbox services. Retail lockbox refers to primarily business-to-business payments, while wholesale lockbox offers access to documents and check images via the Internet too. Other services may be available. Real estate tax collectors also utilize lockbox payments by having the checks mailed to a post office box. As of October 2009, rates range from $50 for the smallest lockbox system to $205 for the largest, annually. These rates apply to noncustomers only and may vary by bank. Lockbox payments provide organizations with fast access to cash while providing flexibility and convenience to customers. Furthermore, lockbox payments provide increased confidence in accepting payments from new customers and reduce costs due to lower bank fees, reduced paper work and less handling time. Banks offering such services also provide documents and images via the Internet for easy viewing. Annual rates may apply. Esther Graham resides in York, Pennsylvania and is a recent MBA graduate of the University of Phoenix. In addition, she owns her own buisness manufacturing parrot toys. As a fairly new writer, she has been mentioned in Bird Talk, which is a magazine for parrot owner's.